You are here: Home >> Exotic India >> Festivals of India >> 32 Amazing Children’s Books about India’s Independence to Read Right Now. 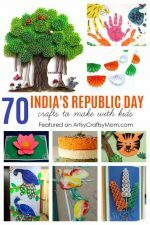 It is just a few days now for India’s 69th Independence Day, and here are a few books that could be picked up for your children to learn more about India in a fun way. Some of these books have to do with the actual independence of India, some with the history before that, and some about our heritage and culture. Some are historical fiction books which will bring the period they are placed in alive for the readers. 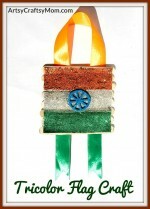 We, the children of India: a preamble to our constitution. Written by Leila Seth. Puffin Books. As citizens, almost all of us are aware of the preamble to our constitution, which is often printed in school textbooks. Do we really know the meaning of its elements? This book, written by former Chief Justice of our Supreme Court, Leila Seth, brings these to children in a fun way. Puffin Lives. These books bring to readers great people of India, well researched books, written in a lucid style for children 9-15 years of age. They comprise stories from their childhood, circumstances that shaped their lives, the things that they did that made them great, and the way they have affected the fortunes of India and are must-read Children’s books on India’s Independence day! Gautama Buddha, written by Rohini Chowdhury. Guru Nanak, written by Sreelatha Menon. Ashoka, written by Subhadra Sen Gupta. Akbar, written by Kavita Mandana. Subhas Chandra Bose, written by Anu Kumar. Jawaharlal Nehru, written by Aditi De. Rani Lakshmibai, written by Deepa Agarwal. Rabindranath Tagore, written by Monideepa Sahu. Swami Vivekananda, written by Devika Rangachari. B.R.Ambedkar, written by Payal Kapadia. Mother Teresa, by Rukmini Chawla. The 14th Dalai Lama, by Aravinda Ananthraman. Mahatma Gandhi, written by Subhadra Sen Gupta. There are a few more books on Mahatma Gandhi, which make the great man easily accessible to children. Picture Gandhi, by Sandhya Rao (Tulika books). My Gandhi Scrapbook, by Sandhya Rao (Tulika books). A Man Called Bapu, by Subhadra Sen Gupta (Pratham books). Grandfather Gandhi, by Arun Gandhi & Bethany Hegedus (Simon & Schuster). These are some of those easily available. Saffron, White and Green This is the story of Ahimsa, Satyagraha and Swaraj, of non-violence and the struggle for truth—all for the one thing that is most valuable to a people and to a nation: Freedom. 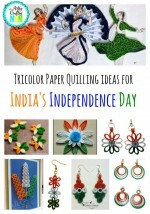 Some other interesting Children’s books on India’s Independence day! 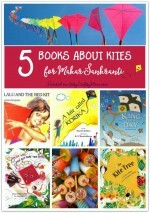 This is a kaleidoscope of facts and stories across almost all of India, which little readers will certainly enjoy. This, as the name says, gives a lot of information, trivia, and fun facts about Indian states. Richly illustrated, this book for middle graders is a good book to keep at home. All books by Subhadra Sen Gupta take the reader through time to different periods in our history – it is as if we see it unfolding in front of us. This book for 8-14 year olds takes us right from the Harappan period to modern day India. This is another gem by the same author, for middle graders, which takes four different periods of our history, from pre-vedic to modern day. This truly incredible book talks about how the geography of India shaped its history, taking us through almost three millennia of the history of the subcontinent. A must read for a history buff, this is a children’s version of Sanyal’s Land of The Seven Rivers: a brief history of India’s geography. 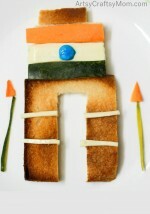 Delhi has been many cities throughout its illustrious history, often built on top of the earlier one. This is a lucidly written book for the middle grader, to understand the history that they might be learning at school. This is a book in two volumes, again a very lucidly presented history of the subcontinent for middle graders. The many subheadings make for easy reference to a period that might be required to be read at the time. Based on the true story of the writer’s father, this picturebook is a tale of friendship based on the Partition of India. Remember that ad for Google, the one where the granddaughter finds a long lost friend across the border for her grandfather? This might have been their story. Illustrated in a unique way, with patchwork, this picturebook is the story of Anna, who is gifted a quilt by an aunt who comes back from India. There is magic in the air, and Anna travels to India, and through it, until it is time to go back. This captures everyday India in a wonderful way. Neela is a 12 year old girl, who lives with her family at a time just before independence. In this coming of age story, Neela is inadvertently drawn into the struggle for independence, because of family and friends. Again, one of those rare children’s books based on the partition, this story tells it as it was. 12-14 year old boys, friends, who are torn asunder when the subcontinent is dividing into two warring nations. Sensitively told, this book is suitable for young adults.